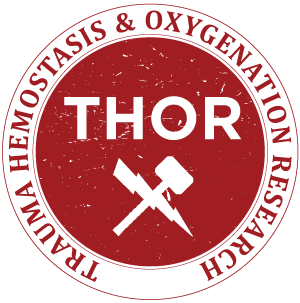 THOR Position Paper on Remote Damage Control Resuscitation: Definitions, Current Practice and Knowledge Gaps. Jenkins DH, Rappold JF, Badloe JF, Berséus O, Blackbourne L, Brohi KH, Butler FK, Cap AP, Cohen MJ, Davenport R, Depasquale M, Doughty H, Glassberg E, Hervig T, Hooper TJ, Kozar R, Maegele M, Moore EE, Murdock A, Ness PM, Pati S, Rasmussen T, Sailliol A, Schreiber MA, Sunde GA, van de Watering LM, Ward KR, Weiskopf RB, White NJ, Strandenes G, Spinella PC. Maegele M, Schöchl H, Cohen MJ. Prehospital Coagulation Monitoring of Resuscitation With Point-of-Care Devices. Tranexamic acid, Fibrinogen Concentrate and Prothrombin Complex Concentrate: Data to Support Prehospital Use? Schöchl H, Schlimp C, Maegele M.
Is There a Place for Crystalloids and Colloids in Remote Damage Control Resuscitation? Reddoch KM, Pidcoke HF, Montgomery RK, Fedyk C, Aden JK, Ramasubramanian AK, Cap AP. 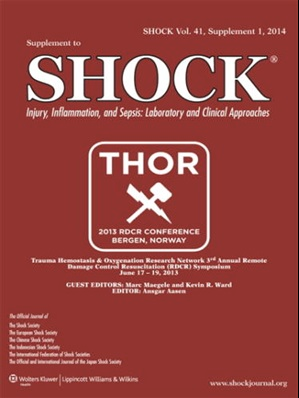 Whole Blood: The Future of Traumatic Hemorrhagic Shock Resuscitation.